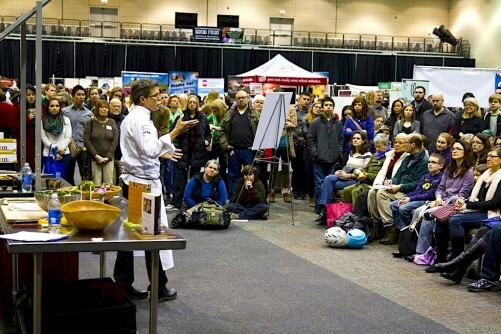 Rob and Allie Levitt made big food news in Chicago in January. 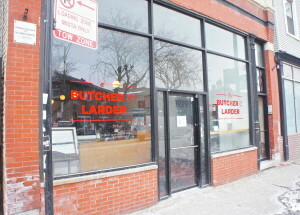 That was when they revealed that there are moving The Butcher & Larder, their popular meat shop, from its current small storefront in the city’s Noble Square neighborhood. They will be shifting to a much larger space within the retail market that Local Foods — a wholesale distributor dealing mainly in locally and regionally grown products — is building a couple of miles north in the Bucktown neighborhood. Rob Levitt of Chicago’s popular The Butcher & Larder meat shop, which is moving this spring into a larger space in the new Local Foods store. 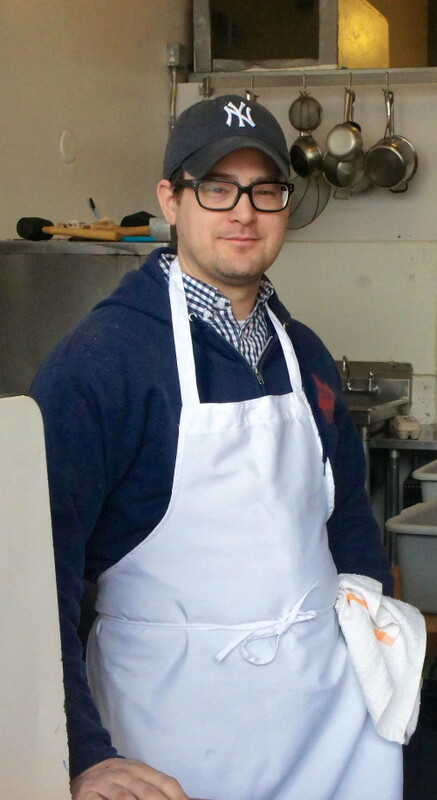 The following are excerpts from an interview with Rob Levitt about his somewhat unexpected career as a leading butcher and his hopes for bigger things with the move, expected this spring, into Local Foods. Rob previously shared his thoughts in a column published by Good Food on Every Table on Feb. 25, and a companion piece about the Local Foods store project can be found by linking here. “To me, local sustainable food is important more because it is a community thing. I want to buy beef from Illinois because I want to support a farmer who is my neighbor. As important is I want to buy a product that I know how it was raised and it traveled a short distance, it’s probably going to taste the best. That’s all I really care about is sending people home with a product that is the best-tasting thing. If the best-tasting thing doesn’t come from Illinois, but comes from somewhere else where there are people who are raising things the right way, then that’s just as important. Local isn’t better than non-local if it isn’t a better product. “The same thing with organic. If it’s not a delicious product, it’s not better than something that isn’t organic but is a great-tasting product. If a farmer raised an amazing apple that isn’t certified organic, it’s better than something that’s grown in Monsanto’s certified organic program. It’s all about the transparency. What is Good Food? It’s transparent food. If you’re shopping at places and they can’t tell you where their food came from, then it’s something to think about. “We have a lot of people who regularly want to come and learn. 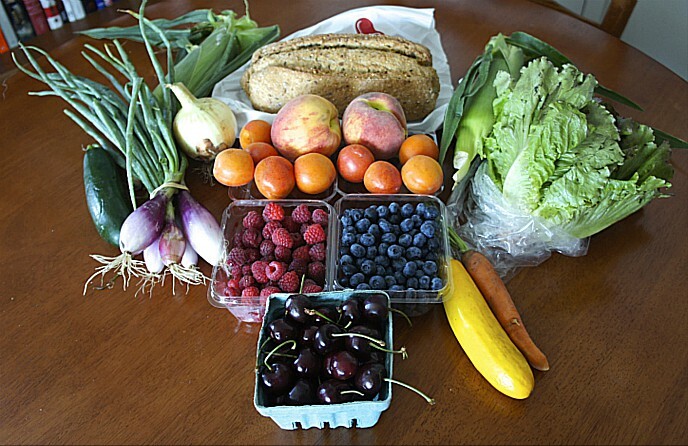 Which is another really cool thing about Local Foods is that we’ll have more opportunity to bring people in. Chefs are more interested in buying whole animals and breaking them down and using all these parts. I feel like less common cuts are becoming more of a thing…. 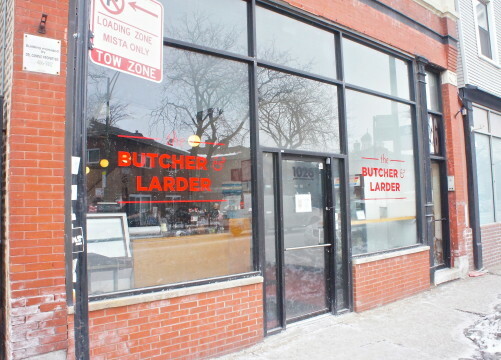 I don’t know if it will ever get back to a point in time where there’s a little butcher shop in every neighborhood, but I think that in the restaurant community people are getting more interested in butchering than they ever have been. Which is great, it’s a cool thing to do, but it’s something that people have been doing for generations, so it’s not like this amazing new thing that’s happening. It’s just coming back. This entry was posted in Butchering, Culinary Trends, Farm to table dining, Food Artisans, Food education, Food Entrepreneurs, Good Food business development, Good Food Festivals, Good Food marketing, Good Food Success Stories, Good Meat, Livestock farming, Sustainable food retailing and tagged butcher shops, Butchering, FamilyFarmed, food artisans, Food Entrepreneurs, Good Food Festival, Good Food Festival & Conference, Good Meat, local foods, meat, Rob and Allie Levitt, Rob Levitt, The Butcher & Larder. Bookmark the permalink.